Buying and maintaining a traditional switchboard or PBX service is an expensive exercise. Furthermore, costs can increase significantly when you include the wiring, equipment, proprietary phones and installation fees. Signing a lengthy maintenance agreement might reduce some of the large up-front costs, but, you are consequently left with a technically inferior switchboard when the contract eventually comes to an end. What makes the Hosted Switchboard Solution different? 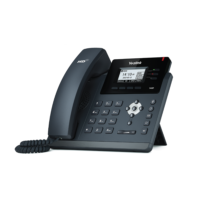 Switch Telecom uses VoIP technology to provide a fully managed and customisable PBX solution. There are no up-front costs or installation fees because there is no need to purchase a physical device. The only cost involved for the Hosted Switchboard service is a low monthly service fee. The solution works with most SIP handsets and softphones. 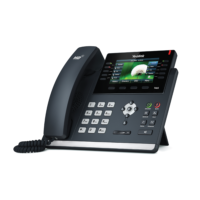 Switch Telecom also provides a wide range of desktop and cordless VoIP phones. Remote and online support is free of charge. You can also easily port your business number or numbers. The contract runs from month to month. Deployment is quick, efficient and best of all, you will benefit from Switch Telecom’s low call rates too. The Hosted Switchboard works in conjunction with a Switch Telecom Business Trunk. You can select between a single telephone number or a range of telephone numbers to facilitate direct dialling towards multiple extensions. The Hosted Switchboard is the ideal solution for a small home office with one user up to much larger enterprises with thousands of users. The advanced functionality will also allow you to tailor multiple different requirements seamlessly within the same organisation. A VoIP Specialist will work with you to deliver exactly what you need to achieve your business goals. You can also use the Online Interface to customise and make changes effortlessly to the system. 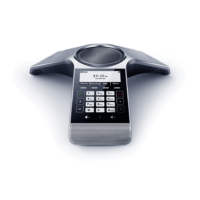 Unlike a traditional PBX, the Hosted Switchboard is much more cost effective, even though it provides functionality only found on the most advanced traditional switchboard. Moreover, there are no costly maintenance contracts and expensive license renewals. Save up to 50% on your company’s monthly call charges as a result of Switch Telecom’s local, national, mobile and international rates. Internal call transfers are free, irrespective of where the extensions are physically located. Keep your existing business telephone numbers when you port to Switch Telecom. 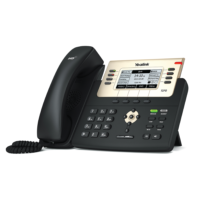 The hosted switchboard is compatible with most SIP phones and softphones. Set up as many interactive voices response menus as you like; most noteworthy your virtual receptionist will work around the clock and doesn’t command a salary. Port your fax number or numbers and program them as an extension on the Hosted Switchboard which will save you paying for additional line services. Receive a free fax to email service when you sign-up. Welcome incoming callers to your business with features like custom greetings, auto-attendant and automated directory. (Record your own messages or choose professional South African voice recordings). Take the opportunity to play marketing messages whenever a caller is placed on hold. Customise how calls are managed during and after business hours. Use call queues to efficiently direct callers to the correct department or agent. Forgo the virtual receptionist when you select direct dial numbers thus providing an efficient and personal touch. Forward calls from your extension to voice mail, mobile numbers, other extensions or even other numbers not on the Switch Telecom network. Take your extensions anywhere or program an extension using a softphone on your mobile phone. Work from home for a day by simply unplugging your phone from the office network and plugging it into your modem or router at home. Your calls will seamlessly follow your phone and you can still transfer calls to and from your colleagues as you would normally. Set up voicemail for each extension. Receive your voicemail via email. Extensions can be located either within a single office or at multiple offices across the country. 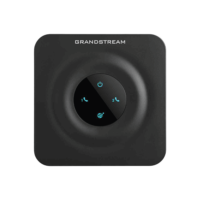 Divert calls quickly and easily in case of a connectivity or power failure. Prevent user frustration and moreover improve efficiency with ring groups. Ring groups allow certain calls to ring on selected extensions. Set up incoming calls to hunt across extensions in different cities, resulting in multiple offices functioning as one. Use feature codes in order to set up custom functionality. Save time while our VoIP Specialists customise the solution for you. You can trust the Switch Telecom platform because of it’s redundancy which traverses across multiple data centres. Visit our Facebook page to read what our customer’s think about the service Switch Telecom provides. Switch Telecom on Facebook. Receive free and fast remote support from a VoIP Specialist. Use call detail records and usage reports to monitor costs per user and consequently gain valuable business insights. Use pin codes if required to limit abuse. Sign-up for a month to month contract. Use the Online Self-service portal wherever you are in order to manage the PBX yourself if this is something you require. Billing and call rate packages are simple to understand because they are transparent. Block certain call types from certain extensions. 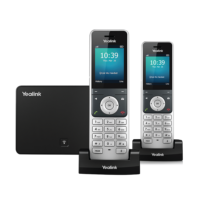 Choose from a range of cordless and desktop phones. Increase the number of extensions and available lines as and when you need to. 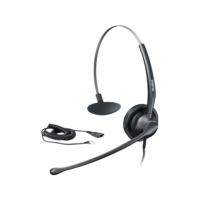 Choose from optional short and long-term call recording. Remote auto provisioning of most VoIP (SIP) handsets with encrypted passwords. All maintenance, security patches and enhancements are regularly done, at no extra cost.